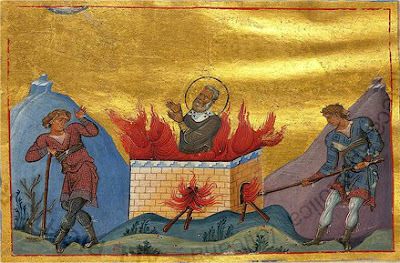 On the 14th of February, the Holy Church commemorates the Holy Hieromartyr Philemon, Bishop of Gaza, who was cast into the midst of a fiery furnace. And my testimony was inscribed when I was called to the heavens. And by dying for Christ you were made worthy.